The Spectre is a thing of beauty. At 10.4mm, it's the world's thinnest laptop. It's also very light for a 13-inch device, at just 2.45lbs, making it a perfect companion for the businessman on the go. But the design... it's truly unlike any Windows laptop I've seen before, thanks to a breathtaking hinge and use of premium materials. In short, the HP Spectre is a pleasure to work with and a real beauty to behold. It's a premium machine at its $1249 price point as configured for us, (starting at $1169 for the Core i5 variant which might deliver better battery life) but you get a lot of both style and substance for the dollar with this new HP gem of a laptop. The HP Spectre 13 is thin, light and impressively powerful – but it's a compromised experience. In the pursuit of building the world's thinnest laptop, HP both improved on its rivals while also introducing a different set of trade-offs. "Most appealing" certainly doesn’t mean "best," though. If you are a normal person who doesn’t care about thinness and style above all else, there are better options. The XPS 13 is still the de-facto laptop for Windows, and if you want more power, Microsoft’s own Surface Book is a good option. But if you want to make a statement and are willing to take a few compromises, the Spectre 13 is a very thin stick of a laptop that speaks loudly. The Spectre is excellent if you’re looking for a very thin and very portable high quality barebones experience with more power than a Core M. What you see is what you get with the HP as there are very few configurable options. If you want something with longer runtimes and a bit more features, however, then there are plenty of 13-inch alternatives so long as thicker and heavier designs aren’t an issue. 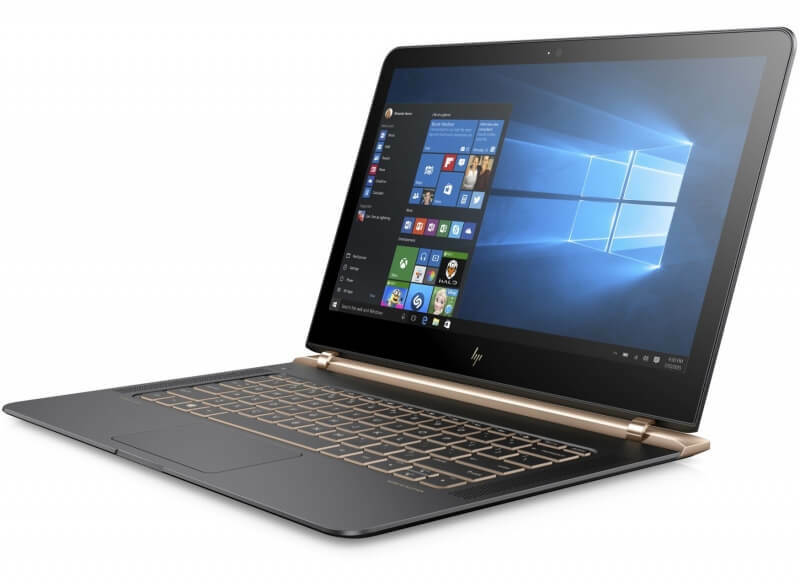 The HP Spectre 13 combines a thin-as-you-can-get build with top-notch performance, all at a reasonable cost. Connectivity is limited to USB-C, but there's still a lot to like about this well-rounded, well-designed ultraportable. Were this an ideal world, the Spectre 13 would have touch and run for longer without increasing in size. Right now, though, that's just not feasible, and if you're one of the people who is telling HP that supreme skinniness in an ultraportable is the number one goal, this is what those ambitions get you. The Specter 13 is, just like the MacBook, not for everybody, but if you demand the pinnacle of Windows 10 portability it's hard to argue with. 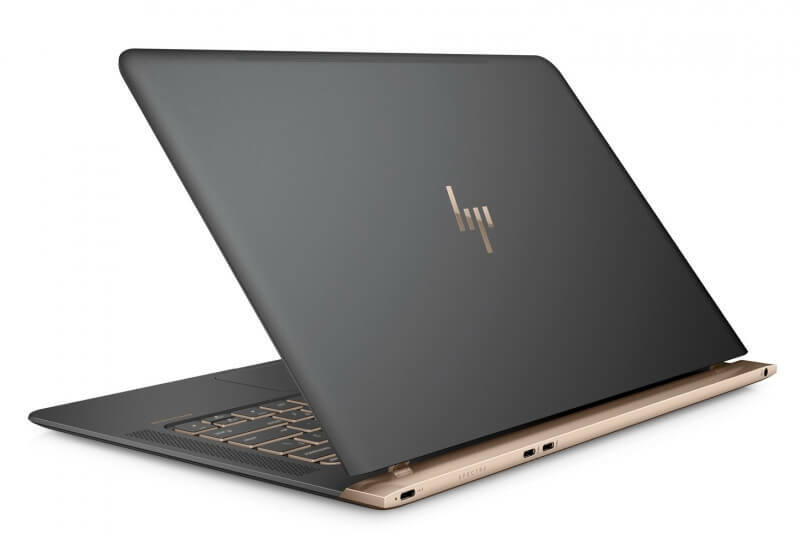 Overall, there are few compromises to make for the HP Spectre 13. It doesn't have any 4K or touchscreen display options, so keep that in mind if you have been wanting a laptop that supports either. You also won't be able to lean the display back very far due to the hinge's design, but that's a small price to pay. 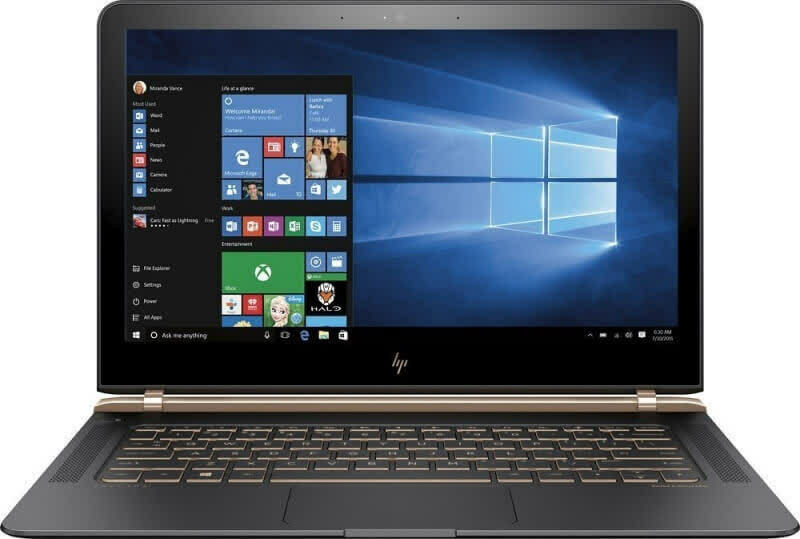 If you have considered the new $1,299 MacBook but are not married to OS X, the HP Spectre 13 is a good alternative that has more connectivity options and is also slightly more affordable. Overall, HP’s has something great with the Spectre 13, and it’s mission to pack a powerful chip in such a slim design is an admirable one. But for $2299 (for the Core i5 base model) and $2999 (for the Core i7), it’s still a hard sell for most people. Even if you think the Spectre is the most beautiful laptop you’ve ever seen, you’re still using Windows 10, minus some of its better features. But if you want a Windows machine that looks and works like a Apple computer, then the Spectre 13 is your guy.